Welcome to Baluwatar Model College! The college is established in 2069 BS. We have a homely environment and are similar to a family in many ways. We work together with parents/ guardians, students, teachers and community to provide quality education to the students. 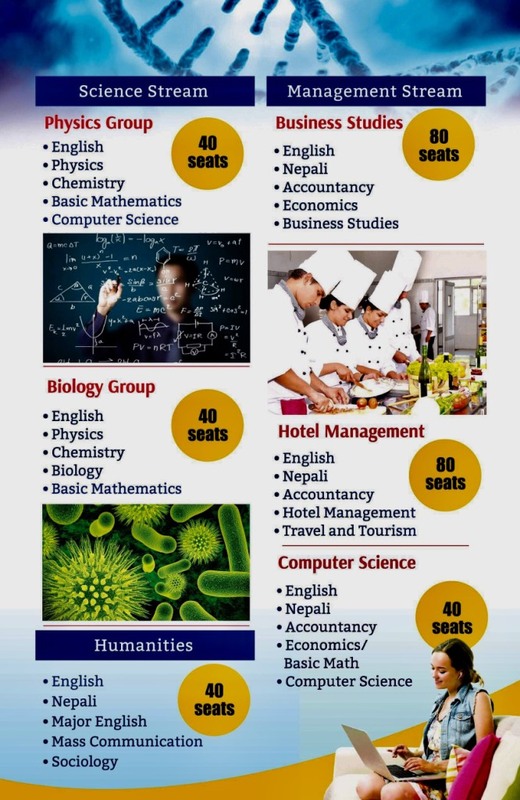 Baluwatar Model College has always been striving for quality education since 2069 BS. During the last six years, it has carried out an enviable niche for itself as one of the leading college in the country. BMC has been synonymous to quality education. We believe inspiring the youth by transforming the education in positive vibes which helps them to build their career, social identity and increase their societal dignity. We believe people have pride of this college today as it has been imparting quality education accordingly to the situation and time. BMC is established from the collective endeavor of the reputed academicians and professionals who possess writing edge knowledge in their fields. No wonder, BMC is growing like a tree under the successful management team of Mr. Dev Raj Regmi, Chairperson of BMC, Educationist, Former Secretary and Former Chairperson of ICIMOD, Mr. Gopal Bhandari, CEO of BMC, Mr. Bishnu Kumar Pandey, Chief Coordinator of BMC, and other professionals from reputed colleges as, St. Xavier College, KMC, Golden Gate College, Trinity College etc. who have greater experience in educational field. Learning is life long commitment and never ending process that enables the students to realize the truth. We cultivate the inspiration for learning in our students, as we value process as important as the end product. We give importance to the academic activities, extra curricular activities and co curricular activities to foster student’s ability. We teach the students to read with understanding, write with clarity, think with reasoning and speak articulately. Our main theme for the educational philosophies is to provide students skills that develop the ‘critical and creative thinking’ in them. We believe in each individual’s spiritual potential. We highly value our students for they are heading in their suitable path for attaining knowledge and discipline. We take care of the students’ interests and provide the environment accordingly that helps sharpen their skills and up bring their potentials. We cherish their creativity and imaginations and move forward to help them gain excellence in the field that they make their careers. The mission of Baluwatar Model College is to provide our students with quality education at an affordable fee that will not only help them care out for themselves for career of their choice but will also liberalize and broaden their attitude and outlook on life. Provide sound professional education to the students in order to enable them to share the values and responsibilities in the learning process. To make the students responsive to the challenges arising from and relating to academic development. To admit the students with competence and motivation in order to enable them to strive for academic and professional excellence. To foster all round development of the students through both curricular and extra- curricular activities. To foster each student a positive self image, self-discipline and responsible decision making. To develop each student’s intellectual abilities i.e. physically, socially or spiritually to maximize his/her potential to work during the transformation of his/her life or social transformations. To develop feeling of honest citizenship who behaves amicably in the society. To integrate all possible subjects in the learning process and bring positive behavioral change through education. To develop a sense self-determination and collaborative learning. To insist each student for acquiring skills and motivations during in their moral development and continuous learning process. Baluwatar Model College is located in a peaceful area in Baluwatar (on the way to Bishal Nagar). Beautiful gardens in the College are majestic with space for games, indoor and outdoor activities. Has been providing quality education. Peaceful and Spacious Environment, Good Social Security with CCTV survelliance. Provision of nutritious balanced diet and personalized health service. Limited students in classroom for the individual care. Teaching based on AIDA principles. Supported by latest multimedia technologies as computers and Internet and multimedia learning in cohesive and friendly environment with individual care. Foster student’s extra curricular and co- curricular activities. Students are given more opportunities to foster their inner talent and build up self confidence in them. Fully equipped Science, Audio-visual laboratories to enhance skills and talents of the students. Healthy and hygienic food for all in the college canteen. The educational session begins from the first week of Shrawan and ends in the last week of Asadh next year. Summer Session: The College remains open from Monday to Saturday (except for public holidays which the College mentions to be closed) from 6:15 AM to 11:45 AM for students of Science stream and from 6:15 AM to 10:30 AM for the students of Management and Humanities stream. Winter Session: The College remains open from Monday to Saturday (except for public holidays which the College mentions to be closed) from 6:30 AM to 11:25 AM for the students of Science Stream and from 6:30 AM to 10:30 AM for the students of Management and Humanities stream. Dear Parents, Students and Well wishers,Thank you, you for choosing Baluwatar Model College! We welcome you to the large college family, which comprises of the teachers, pupils, parents, and guardians of BMC. Our hope is that while the student is with us that he/she will develop into a mature, happy, responsible young adult who is prepared to face the future with confidence.BMC acknowledges that parents, guardians are the primary educators; as a professional body of teachers, the staff of BMC works in co-operation with the student and the home to help each individual to reach his/her potential. We view education as the wisdom for the development of the youth, which is not placed on the intellectual development but also on the student’s overall development. One of our core benefit about academic success is that hard work, determination and consistent effort are key elements in achieving success. All of above is only possible within a firm and fair code of discipline. Dear Parents, Students and Well-wishers, It is my honour to welcome you all to Baluwatar Model College. In my experience, education is the blend of academic degree with moral values, norms and other attributes needed for transforming life positively and I believe we deliver that quality at BMC with highly dedicated devoted BMC team.As Benjamin Franklin quotes ‘An investment in education pays the most interest.’ I would like my sincere gratitude to all the parents, guardians, students and other associated peoples for being part of BMC and for supporting us all the way through making us successful institution.I take my pride in welcoming you all the learning aspirants to be at BMC and apprehend the competent management, veteran teacher, amiable staffs and blithesome environment that will catalyze your dreams and yield the best in life.